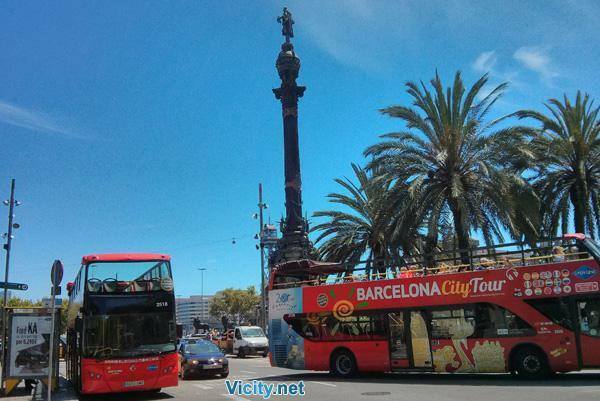 Visit all Barcelona on our hop on hop off bus. You are free to choose between 2 routes or even both. Departure point: Plaça de Catalunya (Catalunya square). Audioguide language: English and and many more languages. How to book? Fill the easy booking form on this same page. When should I book? Due to a massive increase in demand, we are often forced to raise our prices because our tours sell out too quickly. Book now and enjoy our lower rates for early buyers. Is the guide authorized? We provide audioguide for this tour. Is the tour private? This tour is shared with other people. Audioguide Language: English, Spanish, Italian, Catalan, French, Dutch, German, Chinese, Japanese, Portuguese, Hindi, Russian, Swedish, Arabic and Hebrew. We loved Barcelona. We used this service on our last day and we have seen places that we could have missed. Excellent experience, in a couple of hours we went through many amazing places in Barcelona. With its breath-taking architecture, artistic treasures, cosmopolitan feel, relaxed atmosphere and a history among the oldest in Europe, charming Barcelona has plenty to offer to each and every visitor. Standing proud between the mountains and the sea, the city is a formidable mix of tradition and avant-garde. 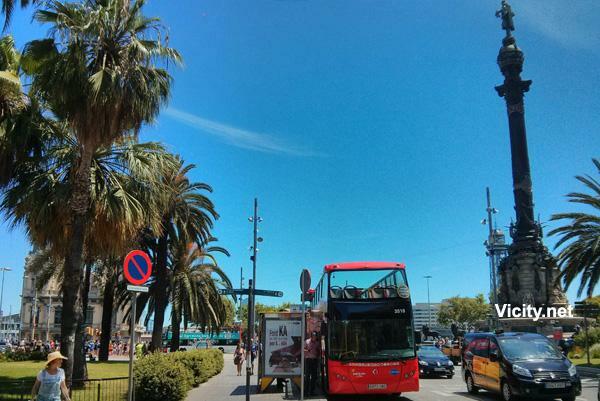 Join our Hop On Hop Off Tour to discover Barcelona's secrets and admire its most important attractions! Founded as a Roman city, Barcelona is the capital of Catalonia, as well as Spain's second most populous urban area. Legends attribute the city's founding either to Hercules or to Hannibal's father, the Carthaginian general named Hamilcar Barca. Barcelona's streets are lined with magnificent works of architecture, from the surreal buildings envisioned by the legendary architect Antoni Gaudi, to Gothic churches and modern constructions that will take your breath away. Wherever your steps take you through the city, you'll always have something awesome to discover. 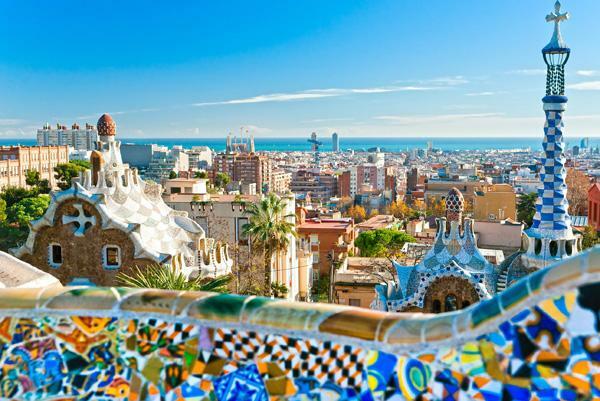 The City of Gaudi combines everything that is most lovely about Mediterranean destinations – delightful weather, rich culture and history, unbeatable food and lots of attractions and opportunities for entertainment. Book a guided tour in any of the 15 languages available and, in just a few hours, you will get to experience the relaxed life of Barcelona and discover all the secrets of the most important sites the city has in store for you. The Hop On Hop Off Tour includes t wo different routes, Orange and Green , both starting in Plaça de Catalunya, Barcelona's busiest square. The Orange route will first take you to the Gothic Quarter and its majestic Cathedral, leading you next to the breath-taking Port Vell. You will then stop at the Museum of Catalan History, check out the lively Barceloneta neighbourhood, the Port Olimpic, the Bogatell Beach, and the Nova Mar Bella beach. Next on the list are the Forum, Glòries, Torre Agbar, Gaudi's Sagrada Familia, the Modernist Sant Pau Centre and Park Güell, and, finally, you will get to see Tibidabo, Casa Milà and Casa Batlló (two other masterpieces of Gaudi). The Green route will first take you to the Arc de Triomf, and then to El Born, Ciutadella Park and Barcelona Zoo. Next you'll discover Passeig de Colom, the World Trade Center, Miramar Gardens, the Joan Miró Foundation, and the Anella Olímpica. You will also love seeing the MNAC, Poble Espanyol, CaixaForum and Mies Van Der Rohe's Pavillion, as well as Plaça d’Espanya, Sants Train Station, and the Nou Camp stadium. Next on the route are Plaça de Pius XII, Pedralbes Royal Palace, Güell Pavilions, and the awe-inspiring Monastery of Bedralbes. Finally, you will stop by l’Illa Diagonal, Avinguda Diagonal, Casa Milà and Casa Batlló and then head back to Catalonia Square. 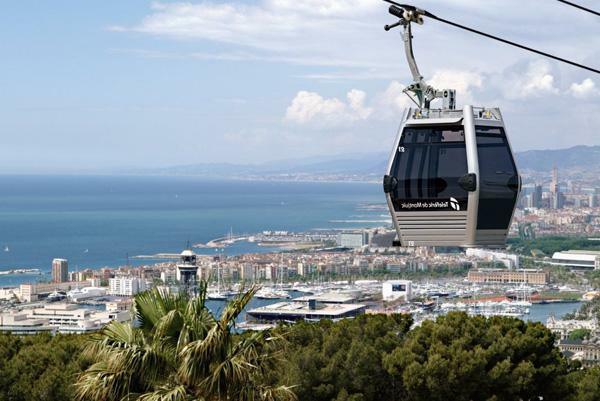 Discover the most important attractions of this magical city in just a few hours: whichever route you choose, you are guaranteed to discover, in 2 or 3 hours, some of the most impressive sites of Barcelona and enjoy an experience you will remember forever! Departure from: Catalonia Square, 9 am. Blackout Dates: The tour is not available on Christmas Day (25/12) and the 1st of January. Languages: The audio guide is available in 15 languages: English, French, German, Spanish, Catalan, Italian, Chinese, Japanese, Dutch, Swedish, Russian, Portuguese, Hindi, Hebrew, and Arabic. Cancellation Policy: If you cancel 48 hours in advance, you will get your money back in full. There are no refunds for no shows and late cancellations. Book now by filling the Booking form!